It's the stuff of legend! 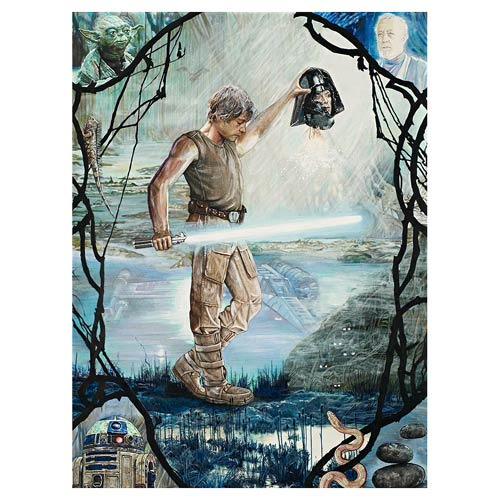 This Star Wars Classic Trilogy Perseus Skywalker by Jon Marro Rolled Canvas Giclee Print features a cool image of Luke after his trial in the cave on Dagobah, lightsaber drawn in one hand and holding up the head of Darth Vader in his other hand. A limited edition of 95 hand-numbered pieces, signed by artist Jon Marro! Measures 21 1/2-inches tall x 16-inches wide. Ages 14 and up.